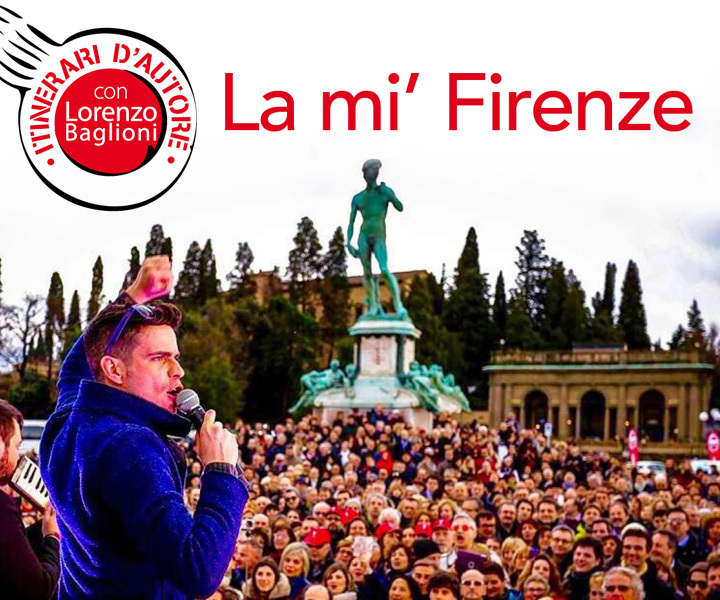 The second Lorenzo Baglioni’s itinerary reflects his relationship with the city of Florence, and follows his regular spots, his chosen favorites, both the professional and the personal ones. An itinerary that is, to use his words, marked also by their laziness and routine aspects. But not only: it is also a fusion of genres, the multifunctional and the multi-sectoral, that mixture of styles and disciplines that marks his being a man and an artist in Florence. Once again we start with a food location: the Stick House ice cream shop, next to his home and to the Antico Beccaria. It is a triangle of flavor and of dear things, since the one who made him discovered this place was his girlfriend. The ice cream at the Stick House is at the same time artisanal and creative: it is “built” around the stick that gives the name to the place. It is a “slow” ice cream since it is made to order and customized following the directions and the taste of the customer. Therefore it is a double pleasure: you witness the creation of the product, in all its phases, you follow it to its completion and then you taste it, all of it without rushing, taking your time. Next is a professional stop, one of the artist Lorenzo Baglioni: the production and post-production house Radical Plans. This is a young Florentine excellence less known to the general public, with which Baglioni filmed in 2013 “Sta per piovere” (It is going to rain). The director, Haider Rashid, is the owner of this post production film studio, he works alone and this is therefore handicraft at the highest level: an artisan of cinema. Here it is possible to understand how a movie is born, how it is constructed, how the entire process of the post-production, of editing, of special effects, of color correction, of sound editing can completely change a movie, transforming the raw shots into the finished product that we will watch in the movie theaters. Connected to Radical Plans, but also to Magma, is another institution close to the heart of Lorenzo Baglioni: Lanana, di Elena Bucciarelli. The owner moves among fashion, music and performing arts: she has been the costume designers for some of the plays staged by Magma and also the make-up artist for the movie “Sta per piovere” with Radical Plans. Lanana – from her nickname as a child – is the knitwear line entirely handmade by her using only knitting needles, crochets, wool needles and her hands. Lanana’s is a product attempting to revisit fashion from the Middle Ages to today, in all its shapes and colors. A family tradition, both her grandmother and her mother worked in knitwear, renewing itself thanks to this eclectic and creative personality. The studio where she works is also multi-functional where different activities are performed, even vegan cuisine lessons. And to continue with this food theme, Lorenzo Baglioni suggests the ristorante La Raccolta, that he discovered thanks to his father who, amateur photographer, here organized a photo exhibit. It is a very special restaurant: at the entrance is a shop that sells farm-to-fork products, with a special attention to vegetarian and vegan products. Inside is the restaurant featuring a vegetarian and vegan menu. It is a refined vegetarian cuisine, with great attention to flavor, to how the food is prepared and to plating that can also meet the taste of someone like Baglioni who grew up culinarily at Falorni. But now let’s get back to work to the recording studio Seven Circles di Lorenzo Piscopo, located in the Monteloro area, a wonderful place with hundreds of country paths to follow on foot. The studio is fantastic, above all for those who are passionate for guitars and more in general for all lovers of chords instruments. Lorenzo Piscopo, in fact, besides his recording activity, artisanally makes and restores guitars, ukuleles, basses and some very special guitars that he himself invents and builds. It is therefore also a lutherie, where in addition to the instruments, it is possible to see him at work: very often he combines the luthier tradition with technological innovation. He is a true artisan of music, who creates things that are beautiful to look at and to bring home as works of art. Finally, the Gommalacca laboratory: it is a magic place, mid-way between a furniture restoration laboratory and a shop, where to find perfectly restored, truly unique period pieces. It is a place where creativity and tradition meet and try to give and answer to each request concerning home decoration.